MJT Securities and Laindon Holdings are the holding companies for a number of companies with businesses primarily in the automotive retail sector but also with interests in contract hire and leasing, house building and exporting. This document sets out the strategic tax objectives of these companies and their subsidiaries ('the Group'). The group operates effective tax governance, understanding the tax risks in place and ensures that senior personnel with the appropriate skill and experience are involved in key tax decisions. The group uses third party advisors to provide advice and guidance necessary to assess tax risks and ensure its compliance with applicable laws, rules, regulations and reporting and disclosure requirements. The group wants to ensure that it pays an appropriate amount of tax in relation to its commercial activities. It does not engage in aggressive tax planning arrangements, and believes that it is conservative in its approach to tax planning, applying tax rules and regulation in a way that it considers is consistent with Parliament's intention, and HMRC expectations. We seek to be efficient in our tax affairs and ensure that any planning is based on sound commercial principles. We take advantage of the reliefs and incentives that exist but show respect for the intention of the law, as well as the letter, at all times. The use of reliefs and incentives to minimise the tax costs of conducting our business will only be made where the group reasonably believes they do not contradict the spirit of the law, or are inconsistent with the underlying economic consequences. The group does not undertake marketed avoidance and will not establish business in tax havens. In dealing with HMRC the group is committed to working in a collaborative, transparent and proactive way at all times. We adopt the principles of openness and transparency and believe in engaging in full, open and early dialogue with HMRC to discuss the group's tax affairs. The group aims to make fair, accurate and timely disclosure in correspondence and returns, and respond to queries raised by HMRC in a timely manner with the aim of resolving issues quickly and efficiently. © Toomey Motor Group Limited. Service House, West Mayne, Basildon, Essex SS15 6RW. Registered in England and Wales No. 335325. VAT registration number GB312701800. Data Protection No: Z4778766. 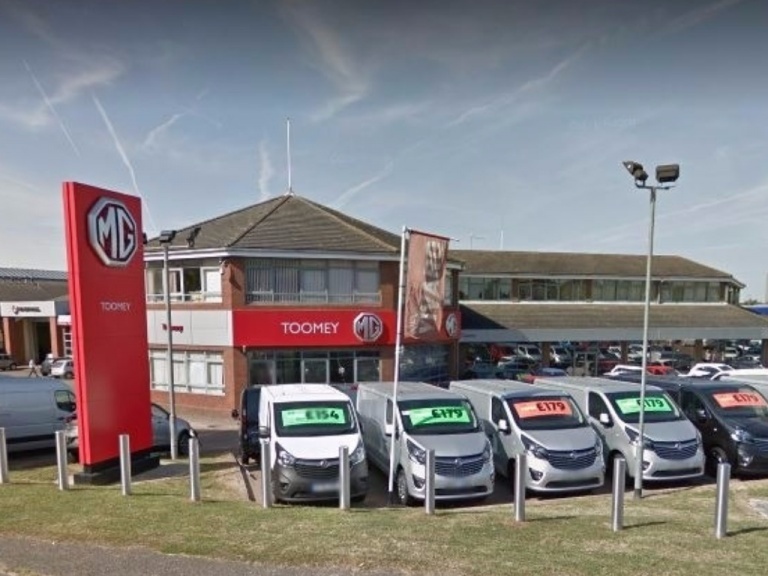 Toomey (Southend) Ltd (FRN 406015) (t/a Toomey Vauxhall Southend), Toomey Nissan Limited (FRN 406014) (t/a Toomey Nissan Basildon), Toomey Sitron Limited (FRN 406007) (t/a Toomey Citroen Basildon), Toomey Pershow (Southend) Ltd (FRN 406011) (t/a Toomey Peugeot Southend), Toomey Pershow Limited (FRN 406009) (t/a Toomey Peugeot Basildon), Toomey Renno Limited (FRN 406010) (t/a Toomey Renault Basildon), Toomey Renno (Southend) Ltd (FRN 406016) (t/a Toomey Renault Southend), Toomey SItron (Southend) Ltd (FRN 783235) (t/a Toomey Citroen Southend), Toomey Nissan (Southend) Limited (FRN 4060112) (t/a Toomey Nissan Southend), Toomey MG Limited (FRN 406013) (t/a MG Basildon) are all appointed representatives of Toomey Motor Group Limited (FRN 313235) (t/a Toomey Vauxhall Basildon & Toomey Vauxhall Brentwood) an FCA fully authorised registered company who are Authorised and Regulated by the Financial Conduct Authority for the purposes of Consumer Credit Activity and Insurance Mediation Activity. All the above act as credit brokers and are not a lenders. Finance is Subject to status. Terms and Conditions will apply. Applicants must be aged 18 and above. UK Residents only. We work with a number of carefully selected panel of credit providers who may be able to offer you finance for your purchase. We may receive a commission payment from the finance provider if you decide to enter into an agreement with them.